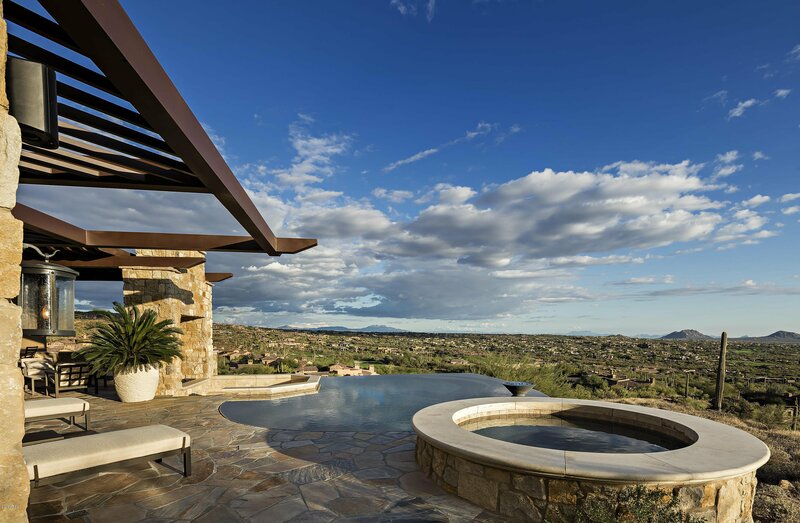 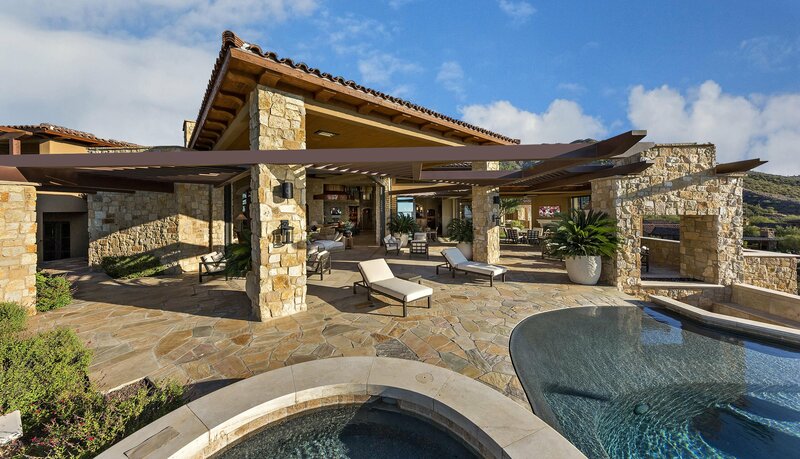 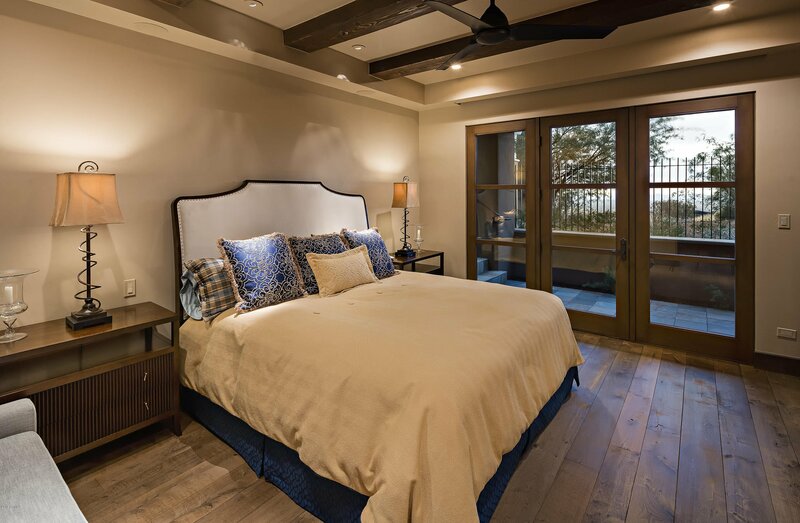 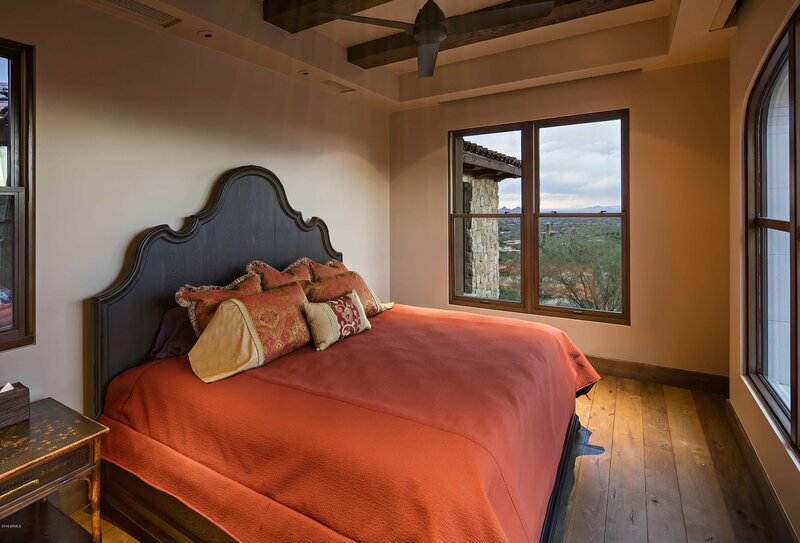 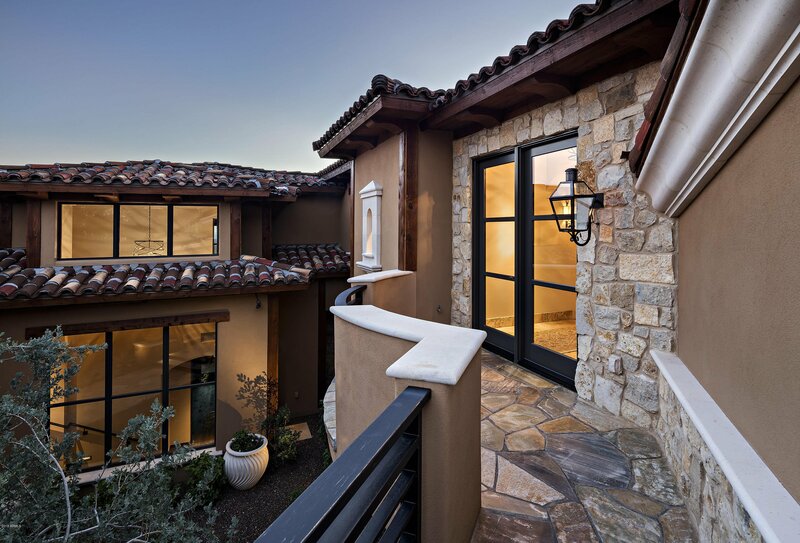 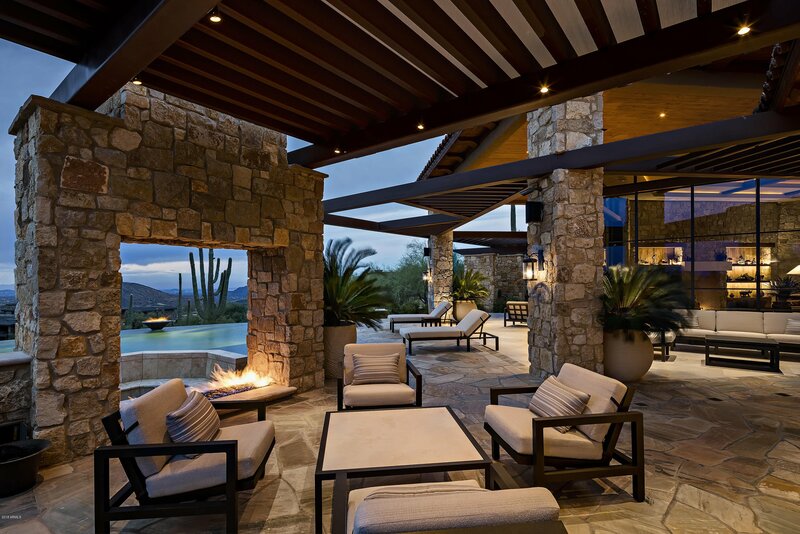 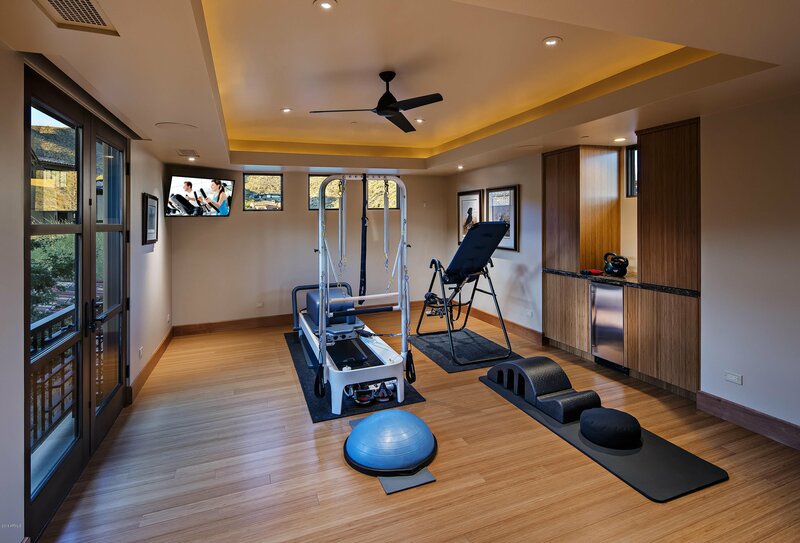 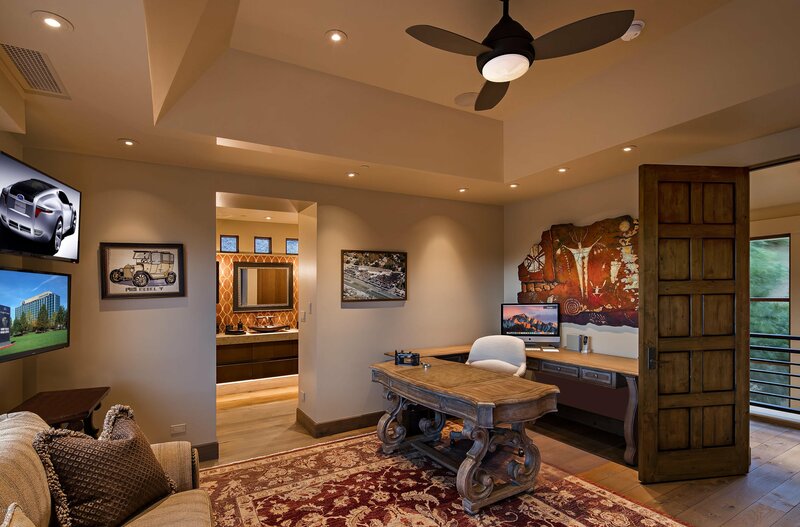 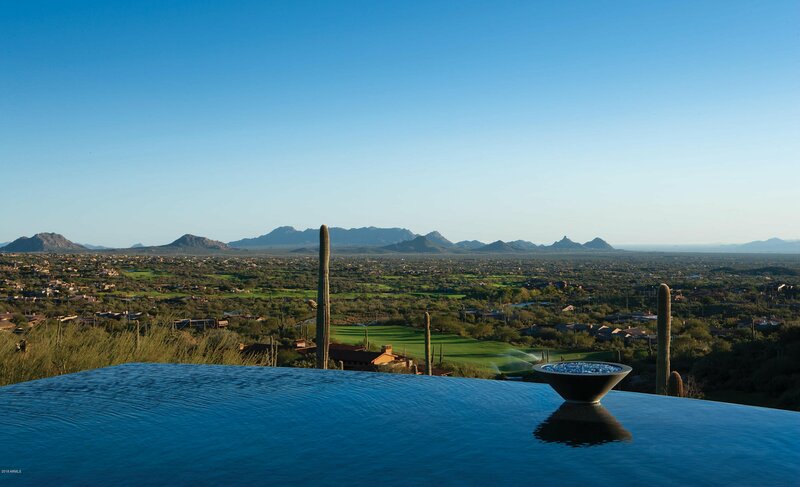 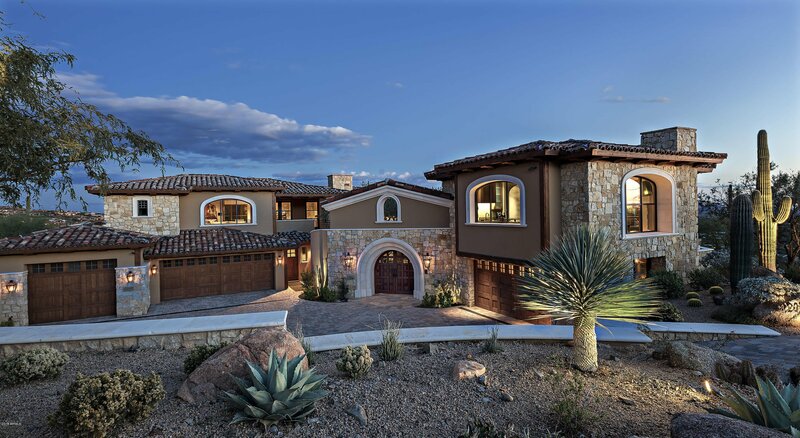 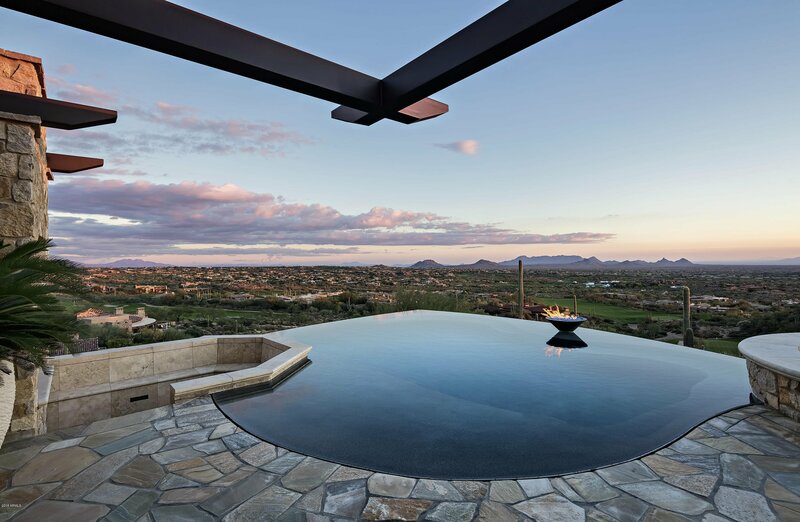 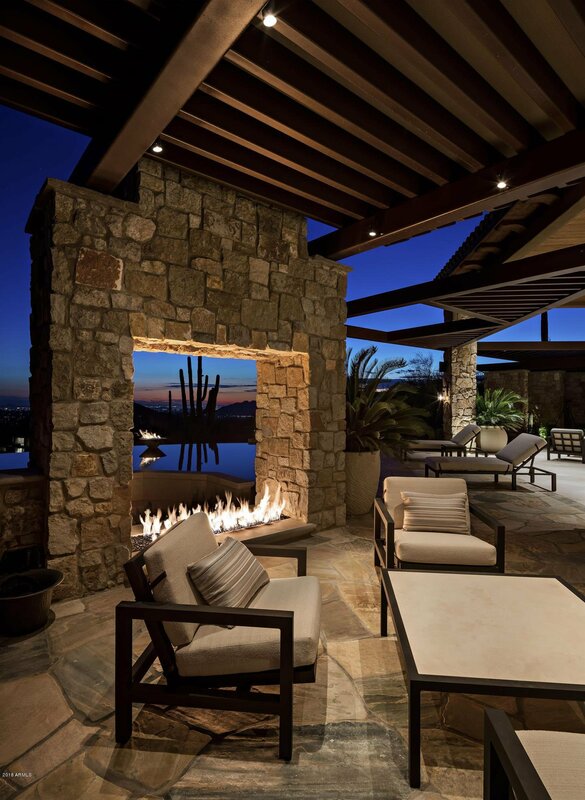 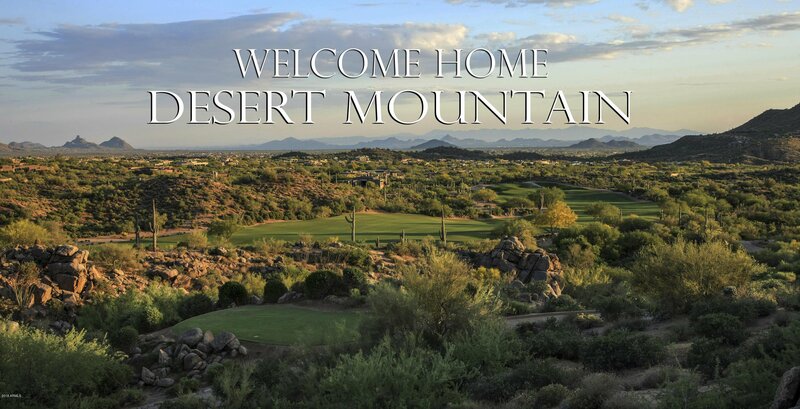 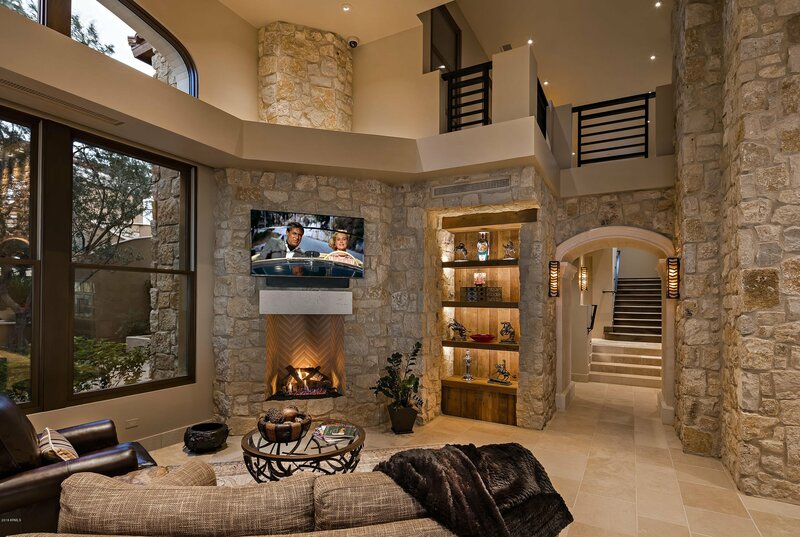 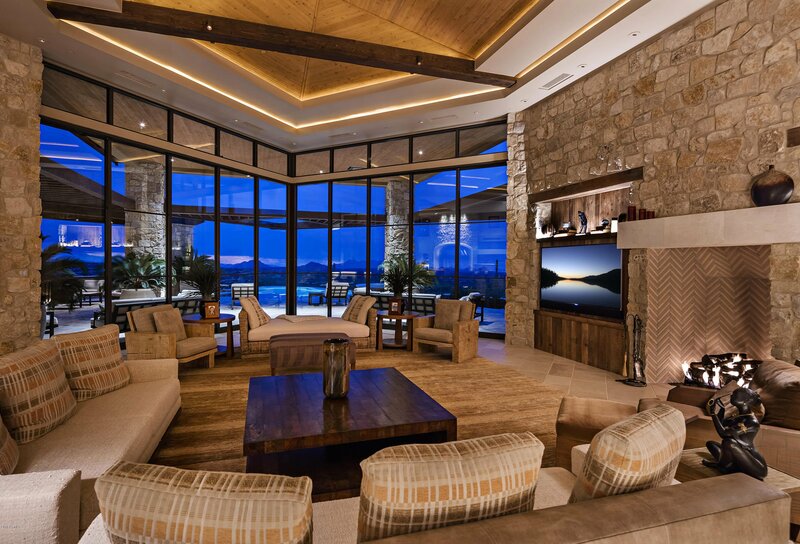 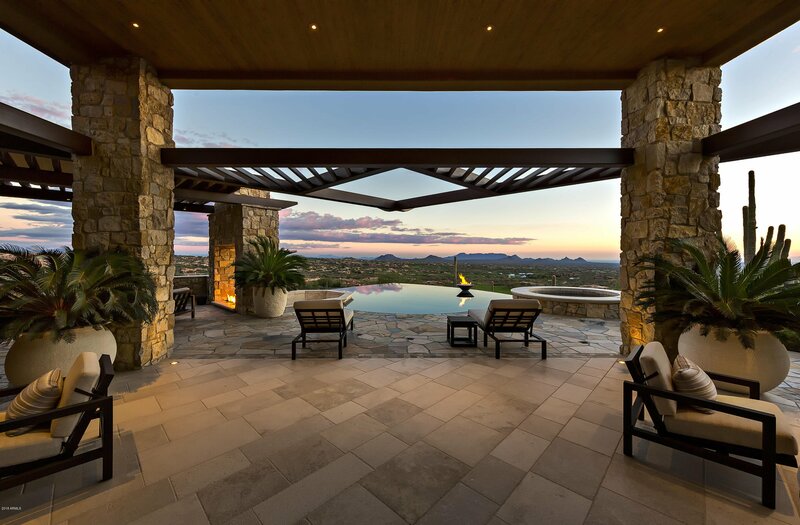 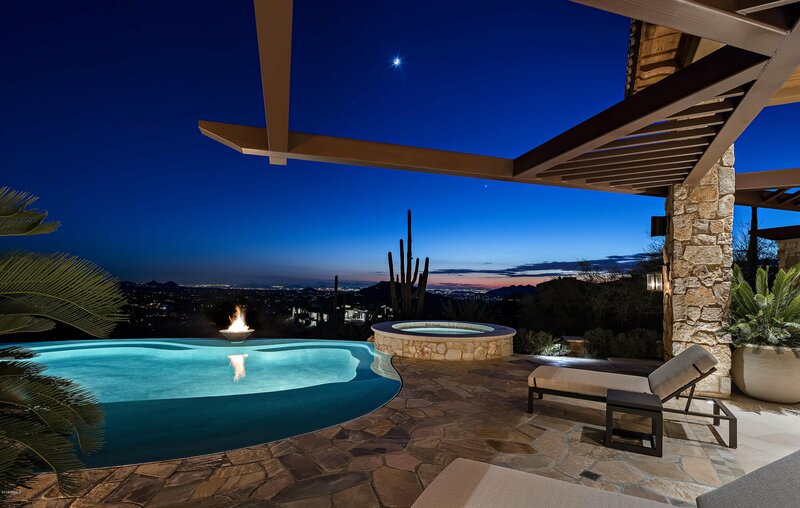 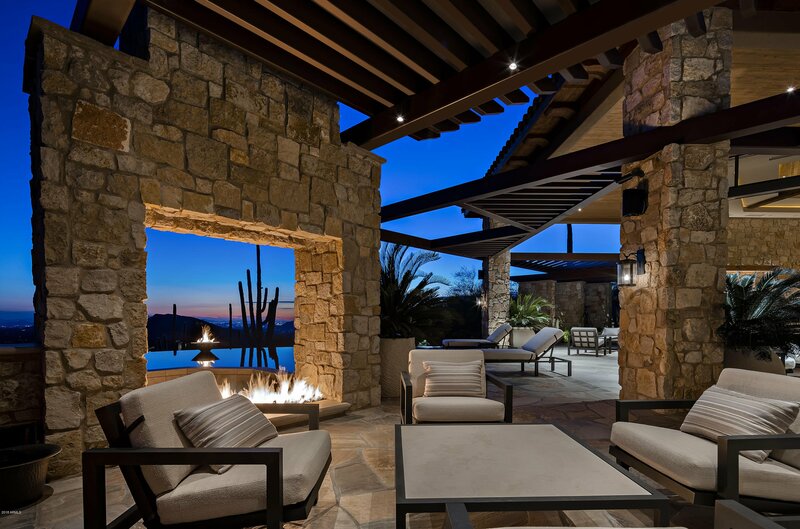 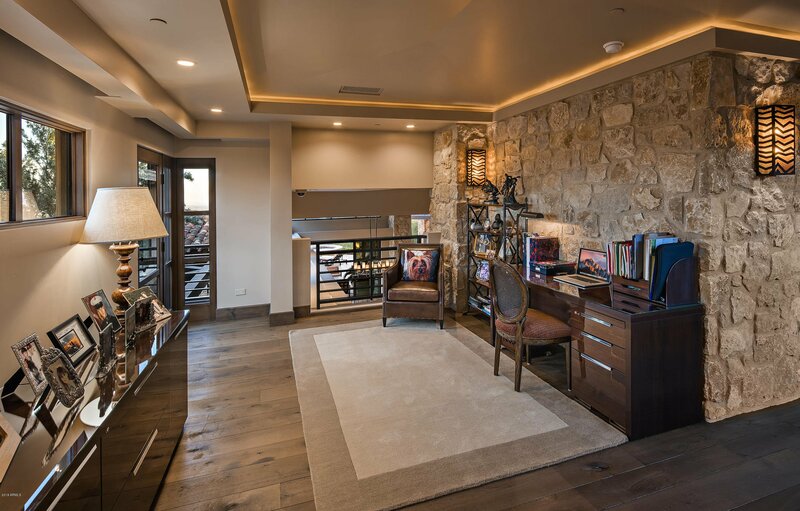 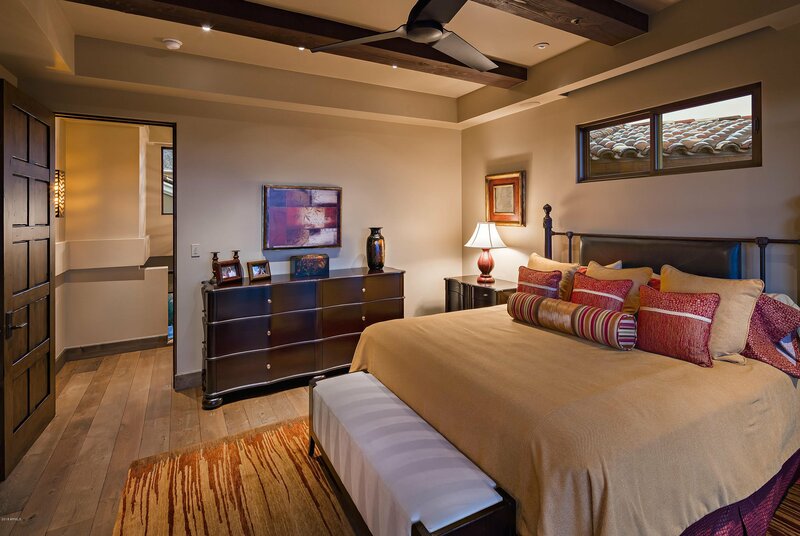 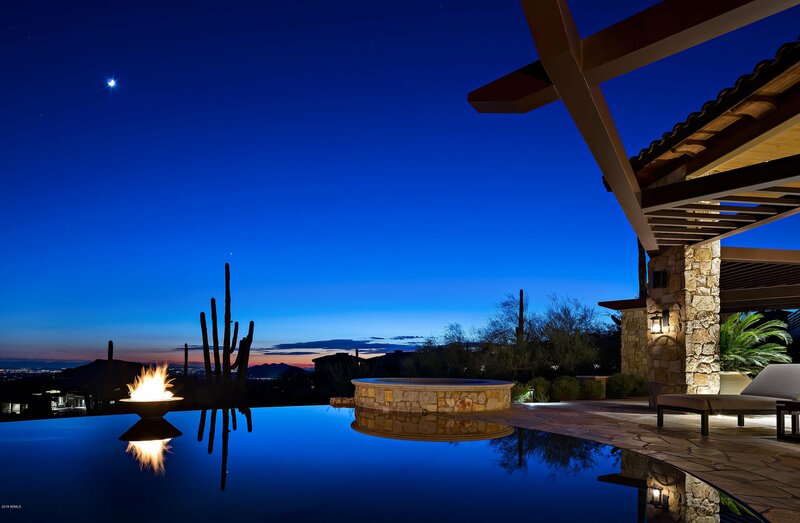 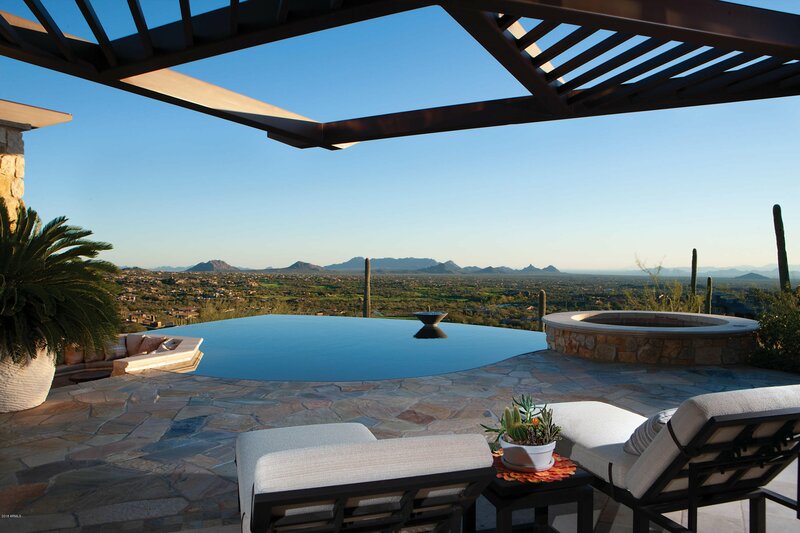 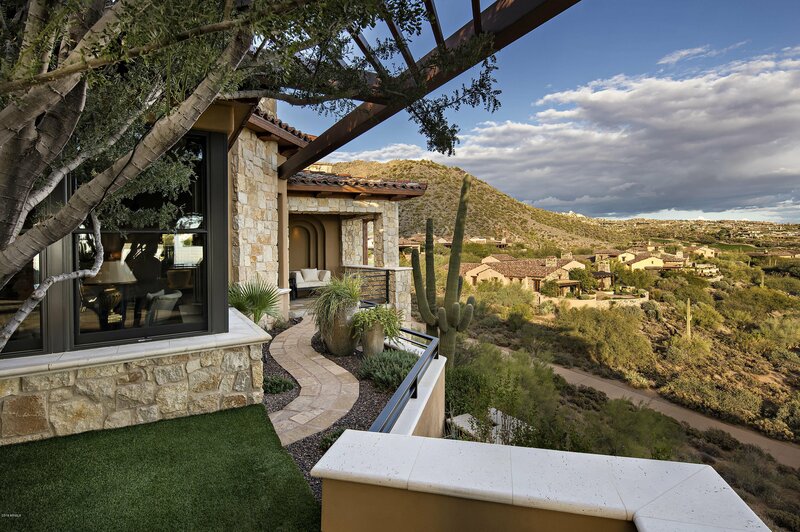 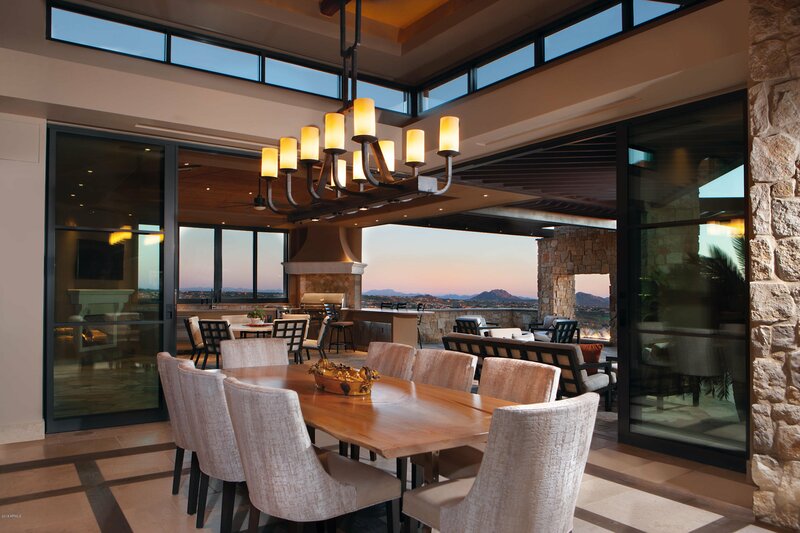 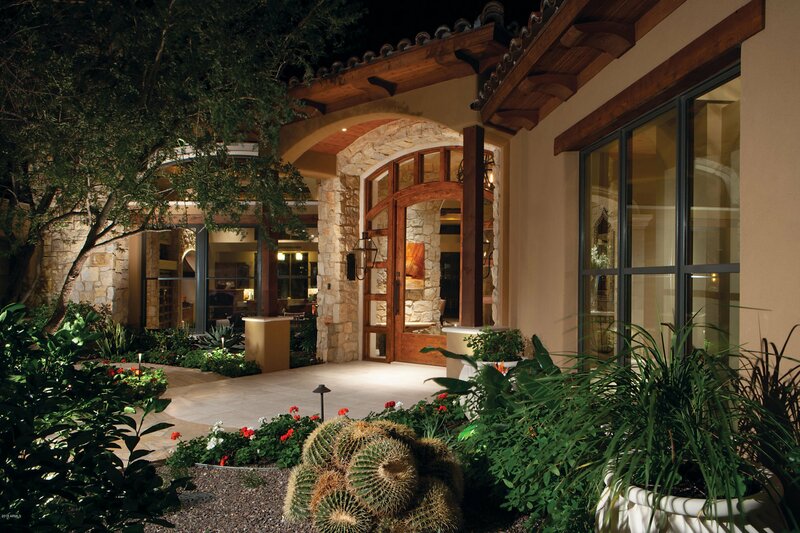 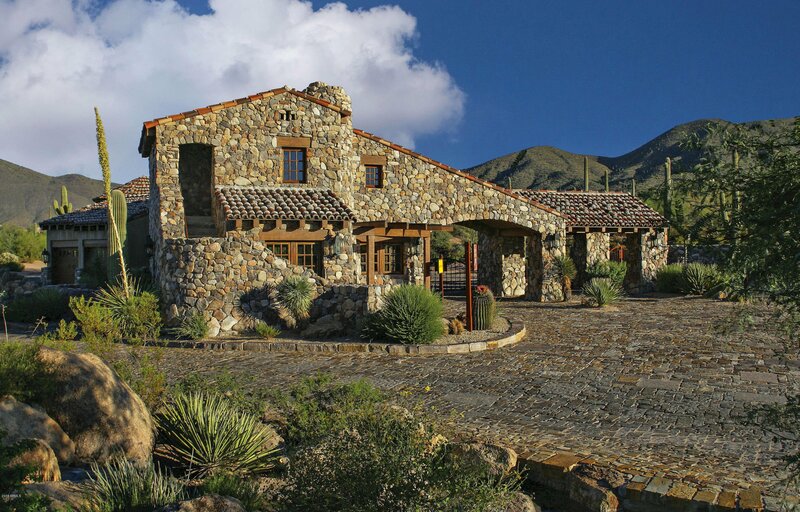 This Exquisitely appointed Desert Maintain retreat in Saguaro Forrest offers breathtaking views of Scottsdale and Phoenix, stunning sun rise vistas and unlimited city lights. 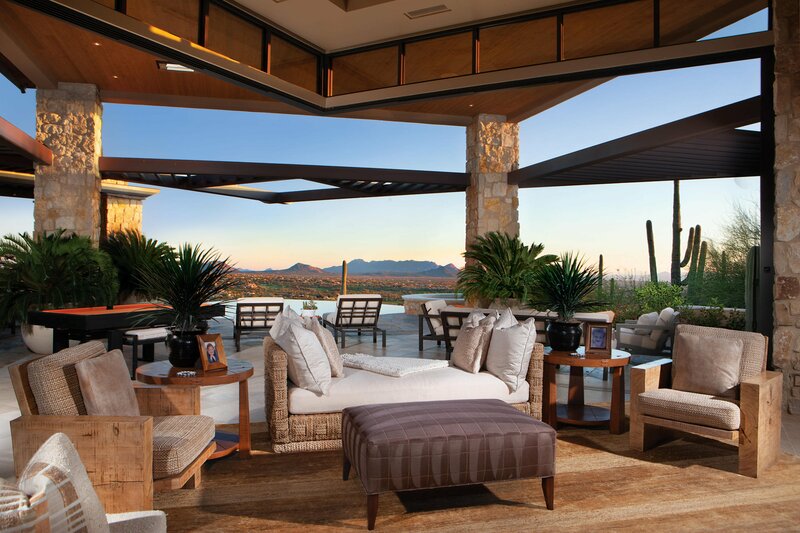 Featured in Phoenix Home & Garden as ''DEFYING DEFINITION'' by stepping outside the design box to become a ''one of a kind home!'' 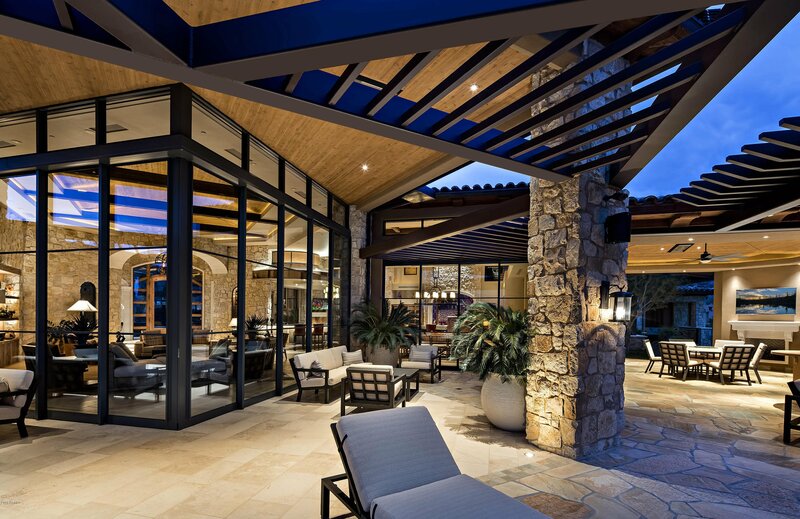 The retracting glass doors showcase the seamless flow from the gracious interior living spaces to an outdoor entertaining paradise with negative-edge beachfront pool, billiard table, dining, kitchen with BBQ and pizza ovens, stone hearth, fire pit, outdoor heaters and VIEWS. 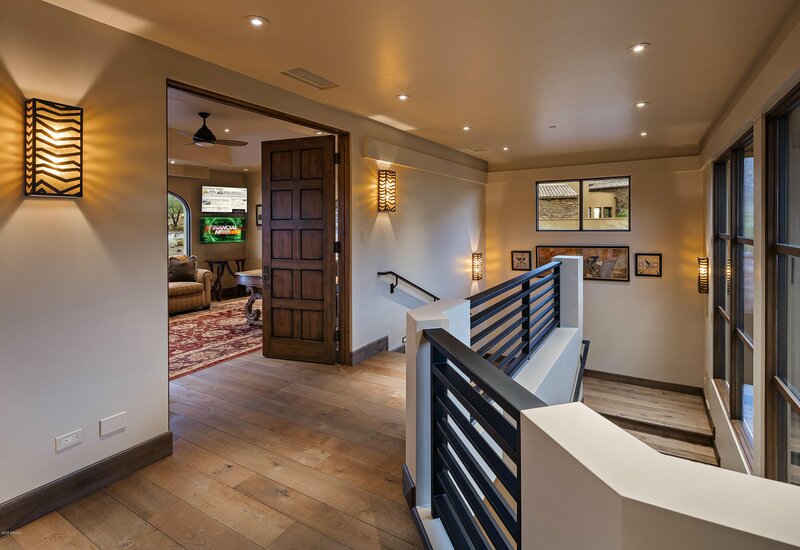 The two garages (one climate controlled) accommodate 6 cars - a car collector's dream! 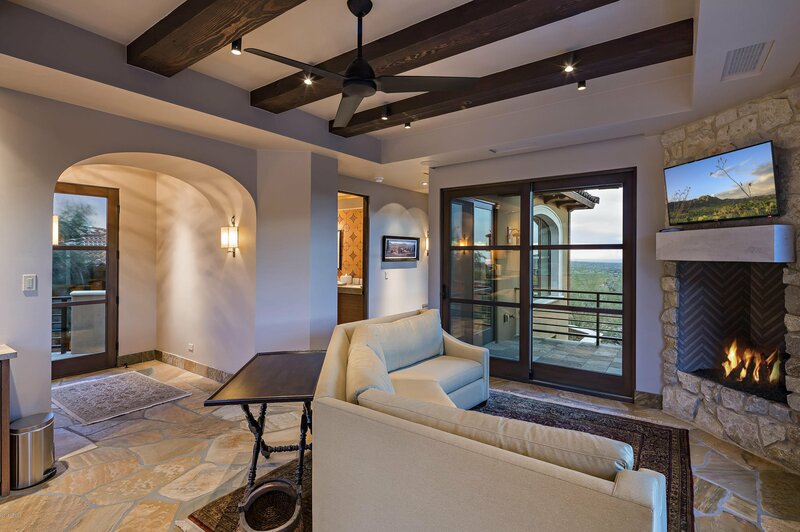 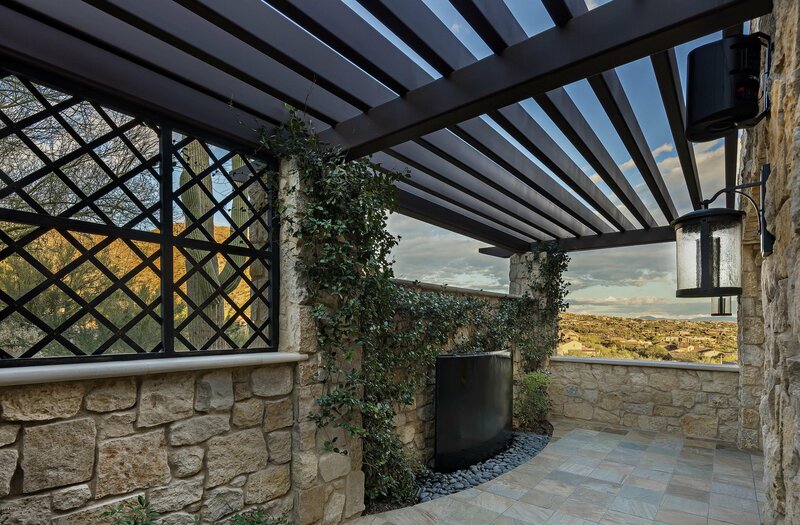 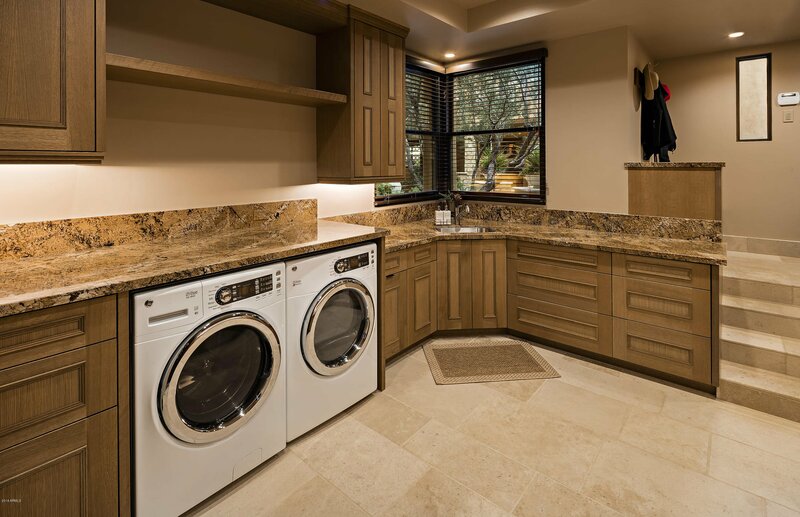 The finest of materials were selected to create this relaxed, transitional-style to promote a casual yet luxurious lifestyle. 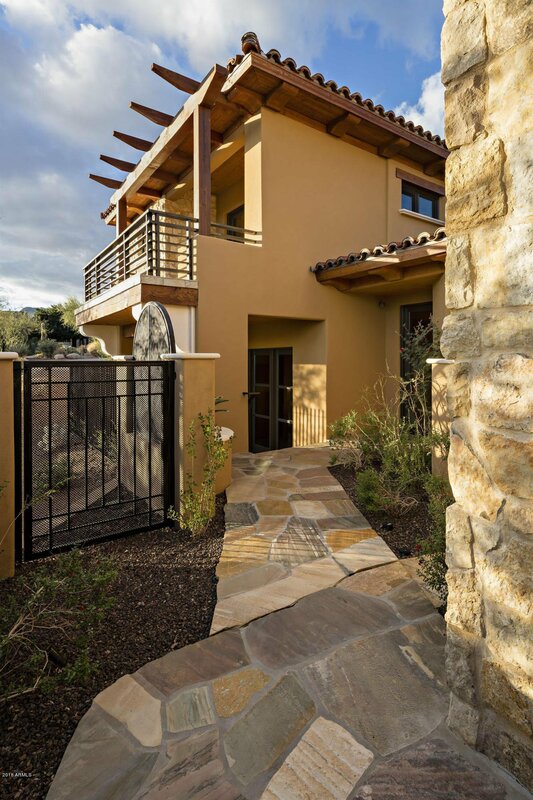 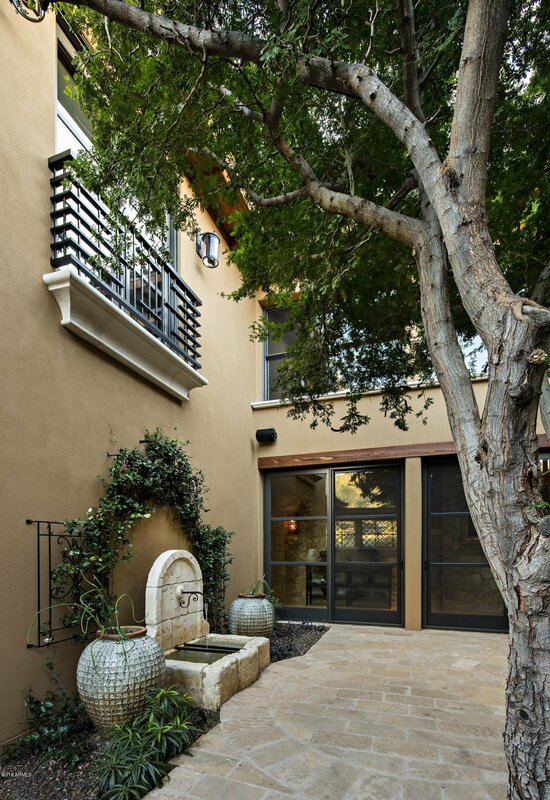 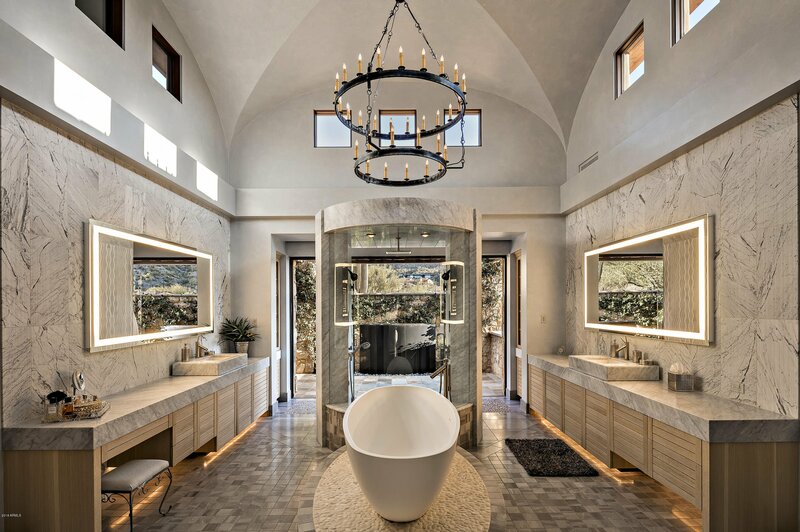 Design features include limestone archways, magnificent custom tile and stone counters, French limestone and French oak floors. 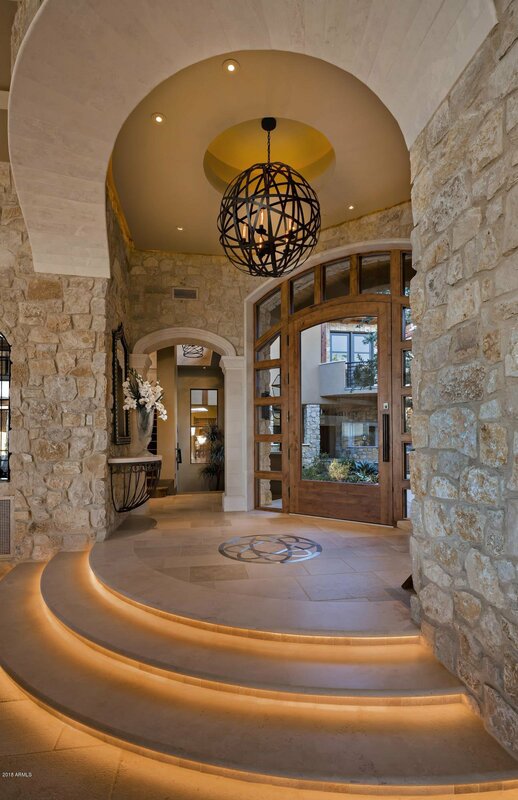 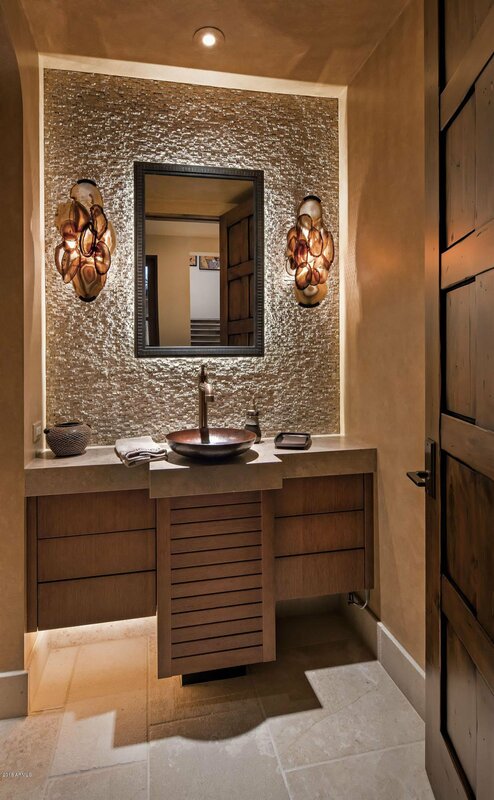 Other hallmark features include handsomely designed lighting throughout. 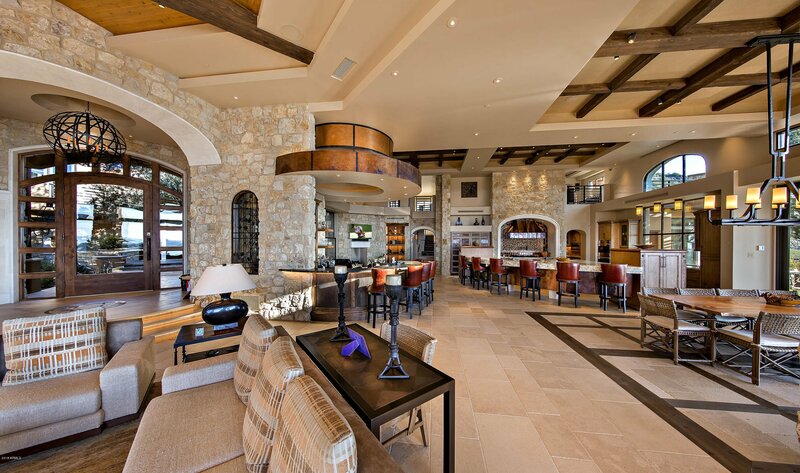 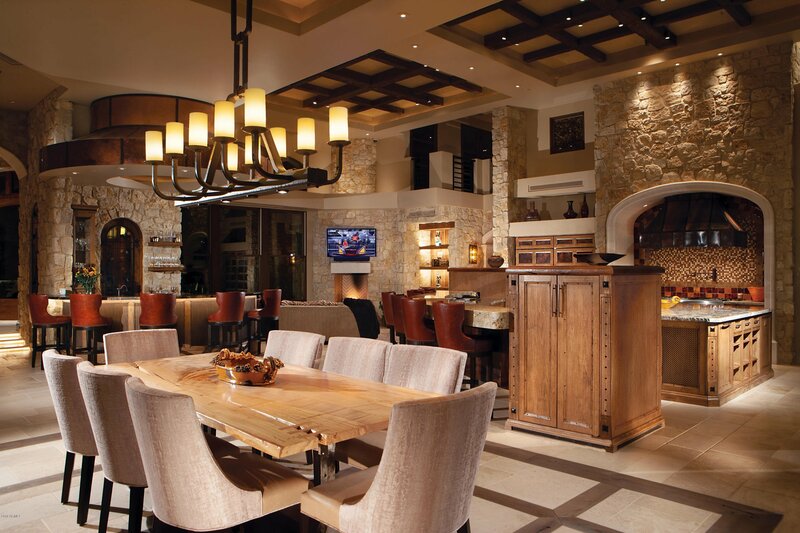 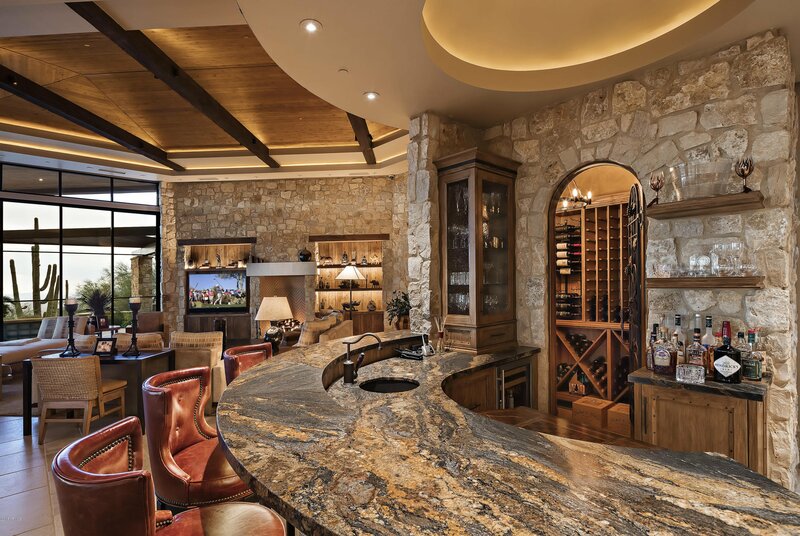 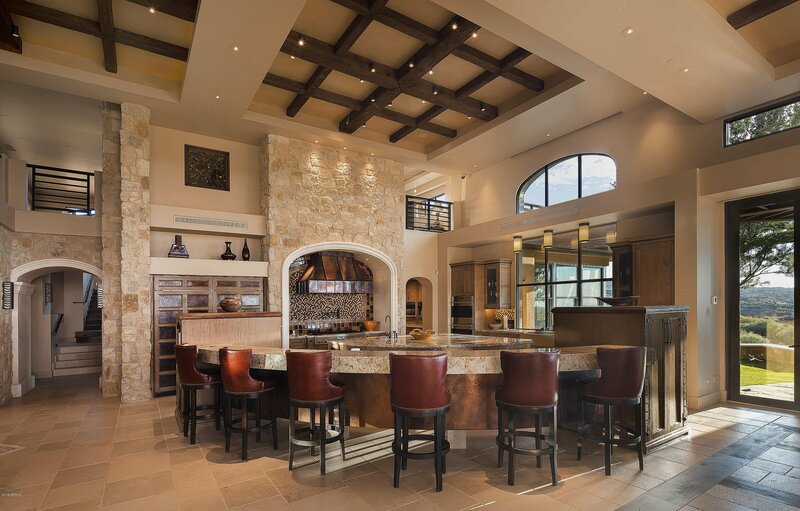 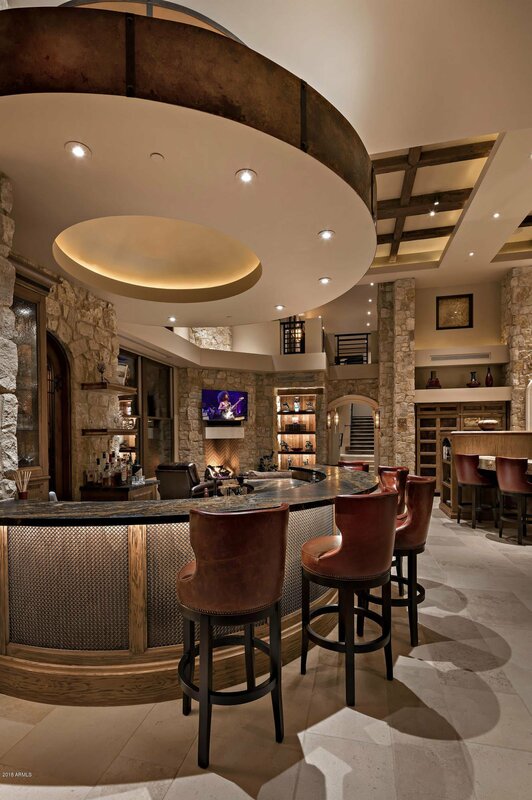 Chef's kitchen and bar both offer curved counter seating, floating cabinets and copper detailing. 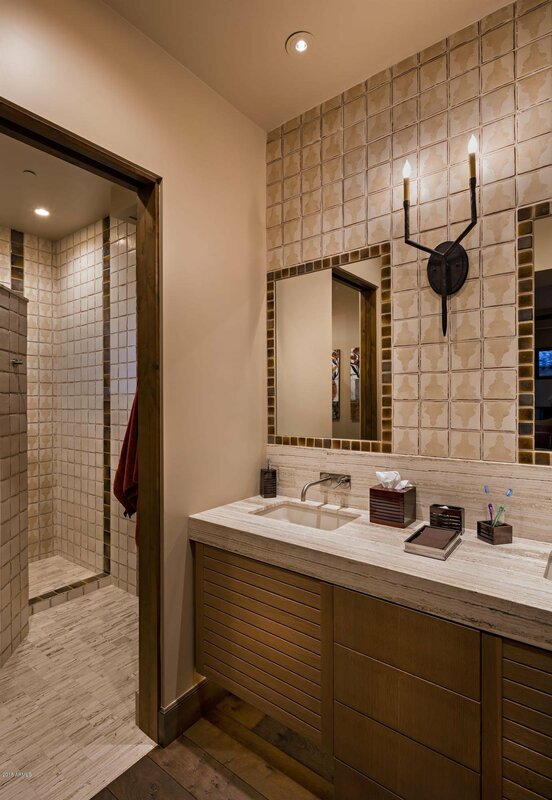 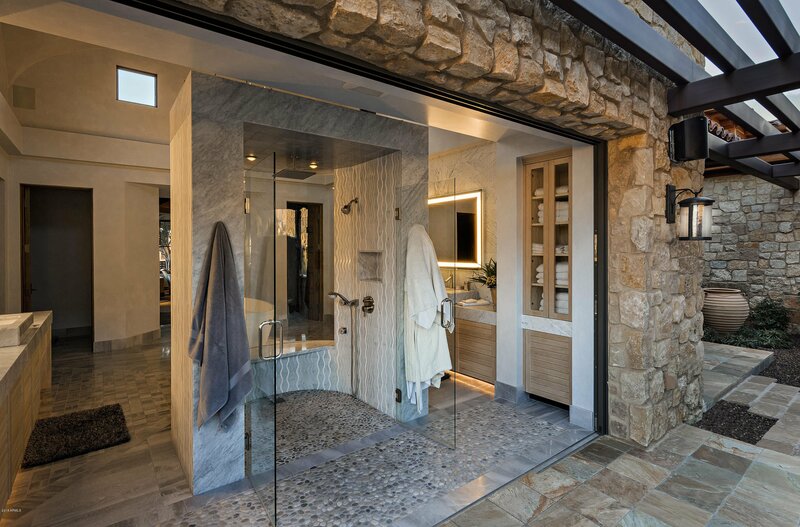 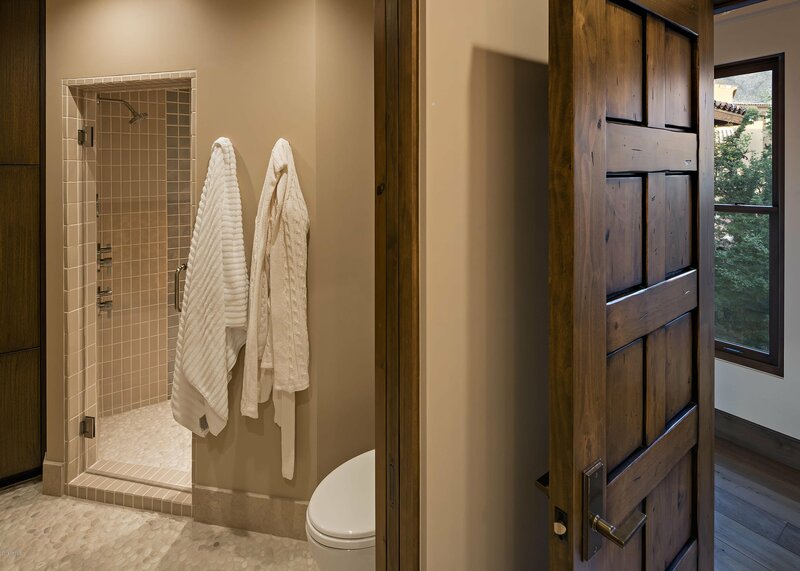 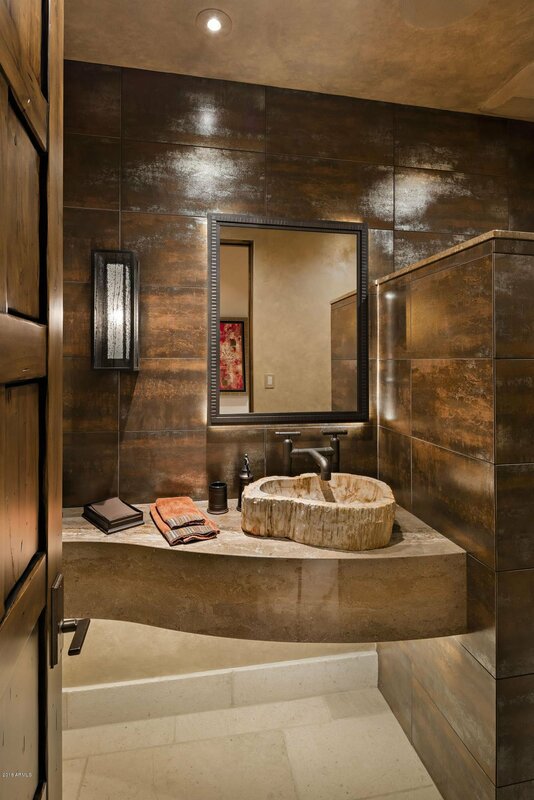 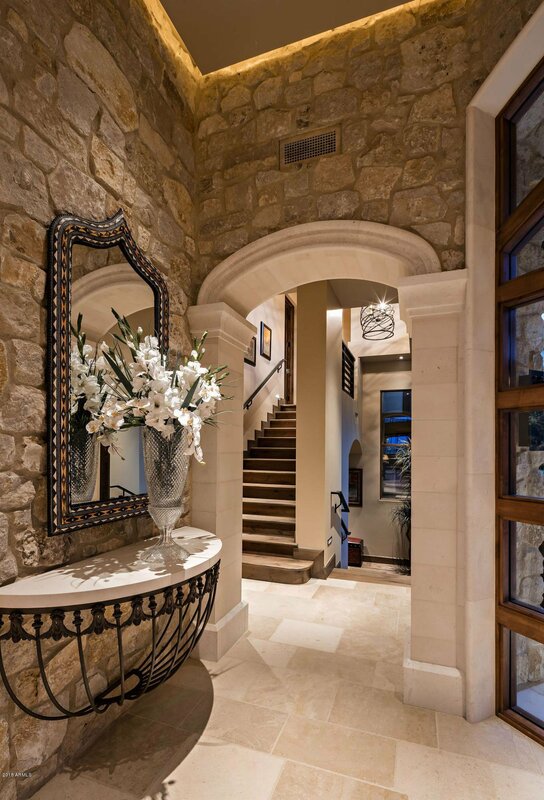 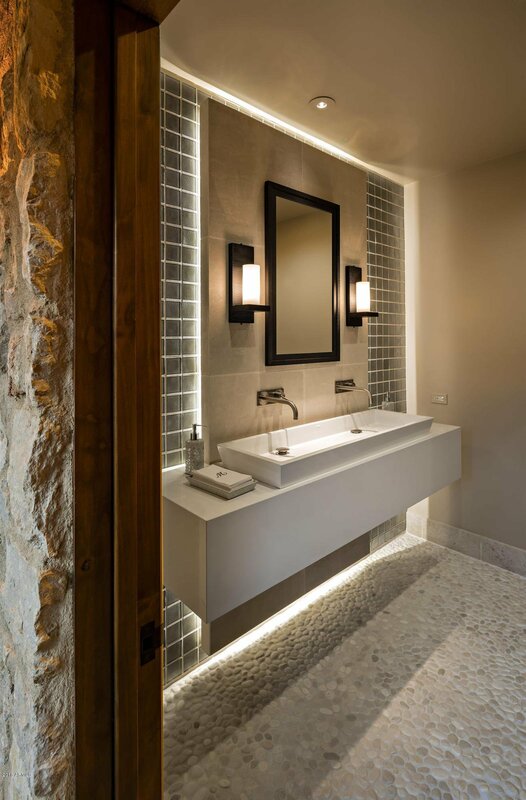 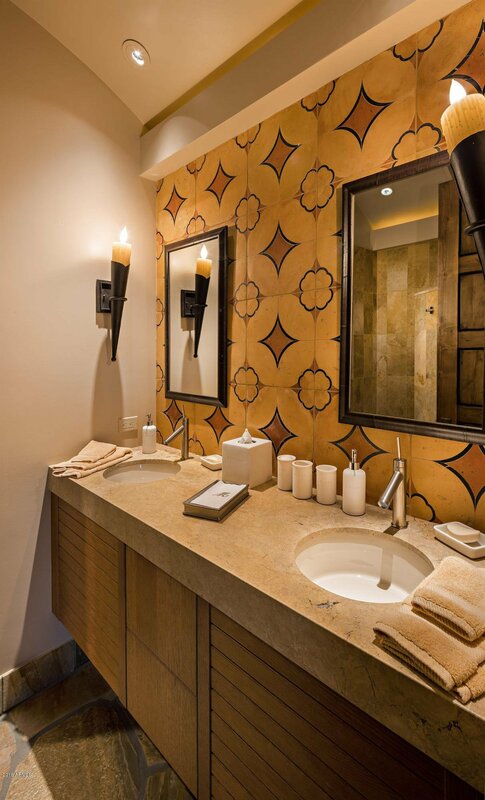 The master retreat with his and her closets and white marble bath exudes European-spa ambiance. 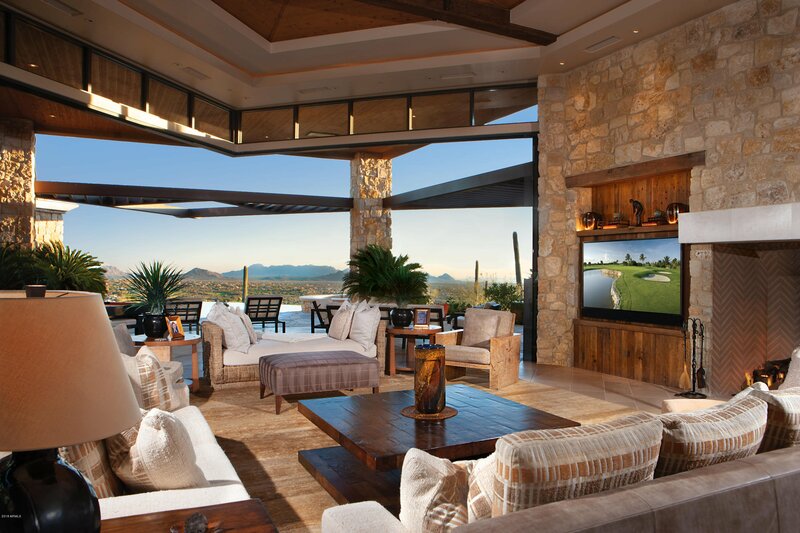 A magical setting with forever views.